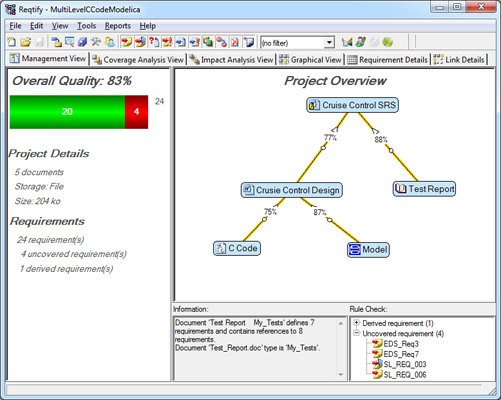 Reqtify is an easy to use, interactive application for managing requirements. 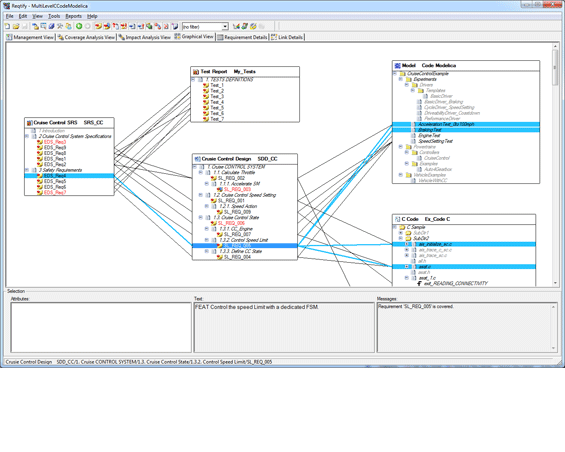 It enables traceability and impact analysis across the entire hardware and software development lifecycle of a project. 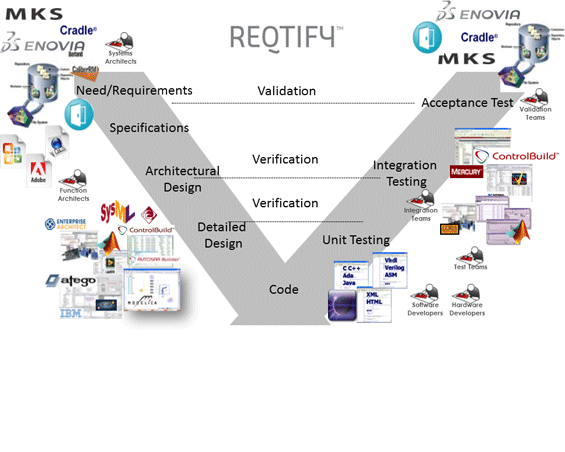 Reqtify is the most effective solution available linking requirements to the development, verification and validation process whatever the requirement source. 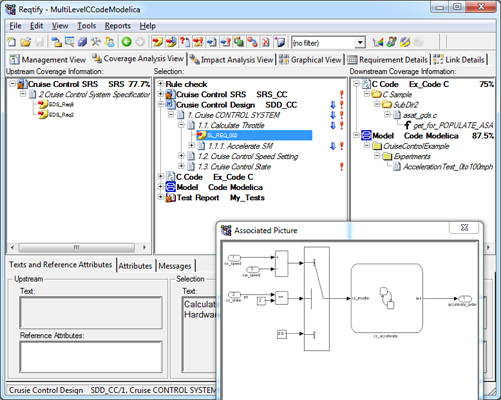 It helps keep project teams focused on their implementation and verification work, for maximum efficiency in developing complex embedded systems. Reqtify captures, in one location, all your project requirements and their links to specifications, hardware and software implementations and test cases by connecting to your existing tool chain. Reqtify automatically extracts data created by your current suite of tools. You can then perform traceability and impact analysis to identify issues, such as unfilled requirements and carry out impact analysis. Reqtify enables you to effectively manage your requirement engineering process and to ensure compliance with standards such as ISO61508, ISO26262, Spice, DO178C, DO258, FDA, GAMP, CMMI and many more. ISO 26262 consists of ten parts, with part 8 of the standard relating to ‘Supporting Processes’ and states that safety requirements should be traceable to both source and derived requirements which is exactly what Reqtify is designed to do.